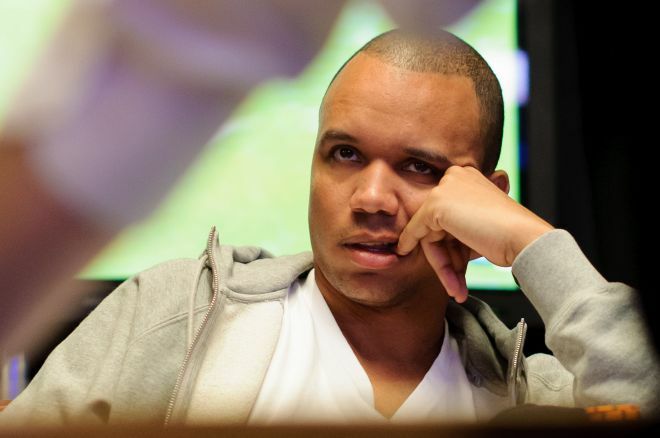 Borgata Casino asks court to dismiss Phil Ivey's claims. In the latest chapter of a legal battle over alleged illegal edge sorting, Atlantic City's Borgata Casino has moved to have counter-claims against them by Phil Ivey dismissed from court. In response to an August counter-claim by the American poker pro, Borgata has filed a motion to have Ivey's claims thrown out of court, which will be heard on Nov. 2. Ivey has been at the centre of controversy for much of 2015 thanks to the legal claims against him and his co-defendant, Cheung Yin Sun, who have been accused of illegally counting cards using the edge-sorting technique in a series of games at Borgata. Ivey had told the court, through a statement filed in August, that Borgata was trying to negatively influence his performance at the table, through the employment of attractive cocktail waitresses and the constant stream of free alcohol that Ivey claims he was offered while at work. "Everyone knows that alcohol impairs your judgment, and they offer that," Ivey told the Washington Times when filing his counter-claim. "And they have the pretty cocktail waitresses and they're all very flirty. They're talking to you, you know. I got quite a few numbers." The Borgata has refuted the new submission, urging the court to instead narrow the scope of the case to merely the legality or otherwise of edge sorting. "This issue is, and has always been a simple one: is edge sorting, as specifically admitted to and practiced by Mr. Ivey and Ms. Sun, cheating or unfair play?" the casino said in a statement. "The individual playing cards do not change the answer. Complimentary drinks do not change the answer. Cocktail servers do not change the answer." The 10-time World Series of Poker gold bracelet winner has always contested the notion that edge sorting is, in itself, illegal. The Borgata maintains the view that it is against New Jersey state gambling law. Ivey's response to the Borgata case against him centers around the definition of unfair practice, and around whether the casino, and by extension casinos in general, are merely providing alcohol and promotional staff in order to entertain guests and ensure repeat business, or there is something more scurrilous at work, with the aim of unsettling professionals like Ivey. The 39-year-old is seen as arguably the greatest competitor at the poker table of all time, however there is no suggestion that the Borgata deliberately targeted only him. The so-called 'Borgata Babes' are notorious among gamblers for their style of dress — they wear black bustiers and a smile at all times — and for the preponderance of free drinks they give to customers. Twenty-two female staff sued Borgata in 2008 for discrimination, claiming they were given frequent and unannounced weigh-ins, and could be sent home if considered too heavy. At the time, this suit was dismissed by the state courts.